Call Tamara "The Spa Guy" at 615-481-6941 ext. #2. At The Spa Guy All of our spas are custom ordered and built to last. We offer ALPS SPAS the Leader in Quality Hot Tub's from our steel frame construction to our environmentally safe acrylic backing you can rest easy knowing you bought a quality product. 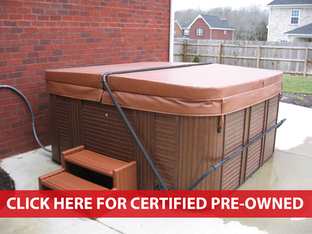 All spas are water tested for twelve hours to ensure that all components are working properly. With a lifetime warranty on the frame, acrylic shell and ABS bottom we stand behind our products and it shows. From two-person hot tubs to 16ft swim spas, we build them with pride and stand behind our products. If you can't find the information you are looking for about our company or products, please call for more Information. We are designing our Mercury line of tubs and have begun tooling this line and will expand it over the next few months as we grow and are able to get more models finished. 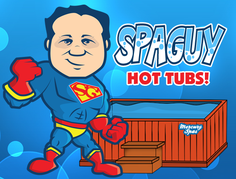 The Spa Guy has worked in the Hot Tub Manufacturing Industry and has always wanted to build his own line of Tubs and has been planning this for many years. Check us out and call for more Information. Call Tamara "The Spa Guy" at 615-481-6941 ext. #2 to see the difference that experience and a commitment to excellence can make! We are serious about hot tubs! Check us out on the BBB! Call today!